A flanger is an effect where the same audio signals be heard simultaneously with a small delay ( delay) between. The length of the delay is variable , so that the time difference between the audio signals being progressively longer and shorter ( in milliseconds). This creates a special effect that you can compare with a revolving sound. Some people characterize it as the sound of a jet fighter. The flanger effect originated in the 60’s. 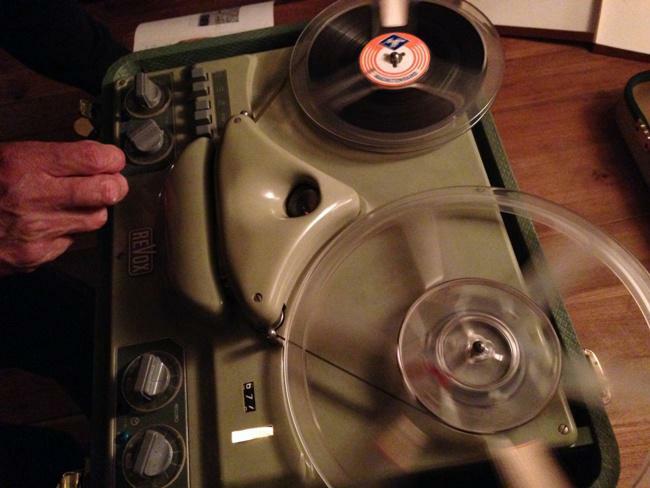 It took music on tape and then played on two tape recorders simultaneously off . Because playing two analog tape recorders are not always equal there was the flanging effect. Most of the flanger effects have the ability to use the output signal back as an input signal. The guitar sound then actually runs several times the effect module , which can cause extra dimension in the form of feedback ( resonance) . Flanger combined with an overdrive . Reasonably some feedback , a ” jet ” effect. From 18 sec with even more feedback. From 30 seconds to clean chords, and little feedback to a chorus -like effect . Phaser , flanger and chorus are strongly related to each other . The big difference is that the mixed-out-signal to the phaser and chorus is constant and for the flanger is it variable. Phaser effects ( subtle timbre) use frequency filters , and no delays to create the effect.